The world of events is fun and challenging. For some it is a planned career from the start, for others it is just something they fell into. The majority of the current Merlin Events team have come from a background of working or studying event management. However, our Events Assistant Ross worked in completely different industries before making the move to events last year. We sat down with Ross to quiz him on what it is like joining the world of events. Which industries have you worked in previously and what roles have you held within them? I have worked in two different industries prior to this role. After finishing school I began working in the retail industry for many different companies including Woolworths, Clinton Cards and Iceland. Throughout my time with these companies, I worked my way up from a retail assistant, to a supervisor and eventually a senior supervisor. I specialized in stock replenishment, stock room management and customer service which gave me great experience in working with customers. After my busy retail experience, I worked as a School Keeper for 8 years at London Metropolitan University. My main areas of responsibility included setting up for exams, supporting with desk moves and monitoring the comings and goings of guests. I was also a main key holder for the building. What made you want to join the events industry? After gaining some great experience in my previous role I felt a change of industry would provide me with some new challenges. I enjoyed the tasks I undertook at the University so I felt a general events assistant role would be a perfect fit for me. The events industry is fast moving and no day is ever the same. Funny you should say that, our next question is about your typical working day? Well I can describe a typical event day at Madame Tussauds which begins with a 7am start – I like to be up bright and early! As soon as I arrive I will prepare cages at the front of the building in preparation for our morning drinks delivery from Majestic. Sometimes our caterers, Food by Dish, will also request an early morning equipment delivery. When the drinks arrive I will ensure they are taken to our store cupboard and recorded in our stock management system. It is also the perfect time to ensure that stock rotation is taking place within our store. I will also work with the Event Manager to ensure the correct furniture is available for set up that evening! At 5pm the caterers arrive with their event staff and equipment, I assist them and help them load in where needed. I also aid the porters to set up the event according the event managers room plan. 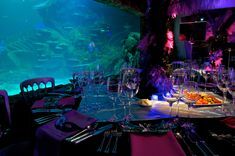 On other days I could be required to work at our other locations within County Hall such as the SEA LIFE London Aquarium, London Dungeon, Shrek’s Adventure! London and the Riverside Rooms, setting up furniture for an event or managing stock. I am a bit of a clean freak so when there aren’t any events on I like to make sure my area of work is clean and tidy, these areas include our banqueting kitchen and store cupboards. My work can be varied and challenging on a daily basis which I enjoy. What has been your favourite part of the events industry so far? I love how my day can be varied and different, and working in different locations. It’s very rewarding to be able to help with our events and know the client has had a great time with us. What has been the biggest difference between your previous jobs, and this one? It’s been great to learn how events come together and focus on the logistics of my role to ensure a smooth set up! An empty room one minute and a full dining room the next. 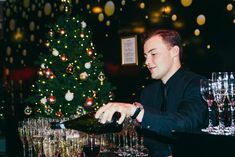 I’ve enjoyed being an integral part of a smaller team, our office team and all of the great suppliers that help make an event happen – it’s a bit different to the big retail chains! I also take full advantage of being able snap a quick selfie with the many (wax) celebrities I work with. I hope to be part of the Merlin Events team for a long time to come and I am looking forward to the challenges and learning experiences that Merlin Entertainments can provide me. So there you have it, an insight into what it is like joining the world of events. We would love to hear more stories! How did you get a start in the world of events?